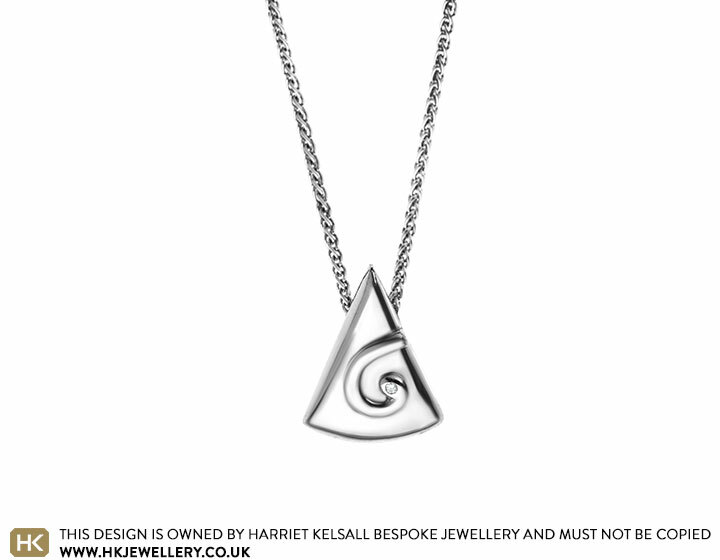 This simple pendant has been crafted in solid 9 carat white gold which has been rhodium plated to produce an icy white finish. 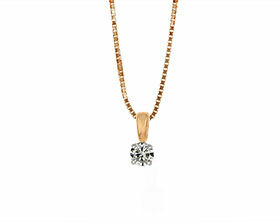 A 1mm I PK1 brilliant cut good quality diamond has been set within the organically shaped curl. 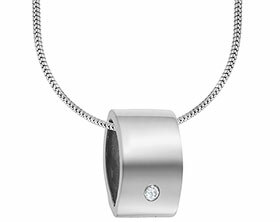 The pendant, which measures approximately 16mmx 12mm,sits on a delicate 16 inch chain. 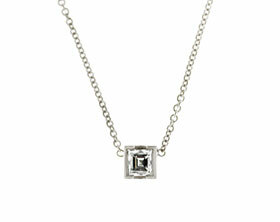 Bespoke 9ct white gold pendant incorporating customers own diamonds. 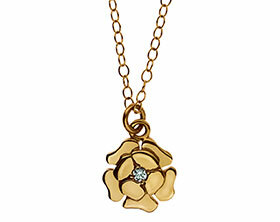 Bespoke 18ct gold and diamond flower pendant. 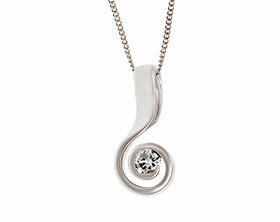 Bespoke Sterling silver pendant incorporating customers own 3.5mm cut diamond.